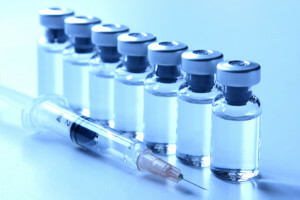 A new public private partnership between the South African government and the Biologicals and Vaccines Institute of Southern Africa (Biovac) to manufacture life-saving vaccines for children will give a welcome boost to the Western Cape economy. Minister of Science and Technology Naledi Pandor announced that US pharmaceutical giant Pfizer and Biovac have reached an agreement on a technology transfer that will enable Biovac to manufacture Pfizer’s Prevnar 13 vaccine at its new manufacturing plant in Pinelands, Cape Town. The vaccine will help prevent pneumonia in children from six weeks to five years. “As part of the agreement Pfizer will transfer ownership of equipment to Biovac and Pfizer will also implement a skills-transfer process so that South African employees of Biovac will be able to manufacture the vaccine after the technical transfer period,” said Pandor. She added that the barriers to vaccinating children are well known, as are the high prices of new vaccines and the inadequacy of public health systems. “But there is another barrier – low profit margins for vaccines and high profit margins for drugs. This leads to less research into vaccines and more research into drugs.” Manufacturing the pneumococcal vaccine in Cape Town will help cut costs, said Pandor. Biovac CEO Dr Dierk Rebeski said the facility will be a boon to job-creation in the Western Cape. “So far 183 jobs have been created, but this will streadily increase,” he said. Because there are so few vaccine manufacturing facilities in Africa, Biovac is proof to the global community that vaccines can be successfully manufactured in southern Africa, said Gaspard.